ThimphuTech.com: Bhutan Today's website hosting malware? 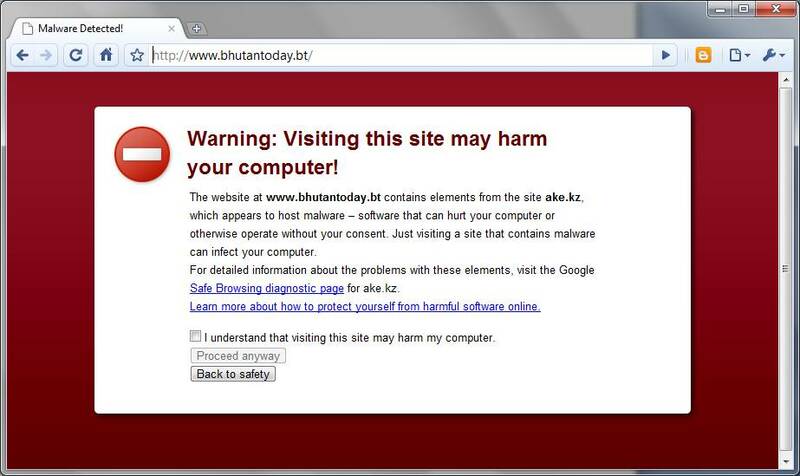 Bhutan Today's website hosting malware? 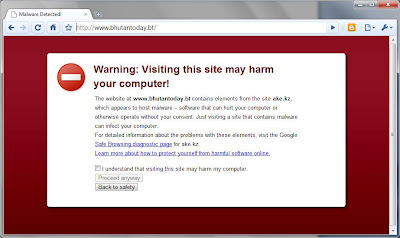 When visiting www.bhutantoday.bt this morning using Google Chrome, I got the following warning: Visiting this site may harm your computer. It appears that the website has been infected by malware. If you happen to know people at Bhutan Today, kindly let them know. Until their webmaster fixes this issue, it's probably better to read the paper version.